The Senior School builds on the principles laid down by the Middle School, to effectively address both academic and developmental needs. Students are encouraged to develop their own thinking and learning methods, and a Personal Learning Plan is established by each student. A focus on the Arts, Science, Technology and Physical Education is reflected in our growing range of facilities. Specialist Senior School teachers closely follow the Australian Curriculum, frequently extending learning beyond the standard requirements. In parallel with their academic studies, senior students are encouraged to develop and foster their relationship with God. Developing leadership skills and Christian character supplement the academic rigours of Senior School. Cedar College is committed to preparing students for Tertiary Education. This includes University, as well as other suitable career pathways (see Senior School Curriculum Book for Tertiary Institutions). 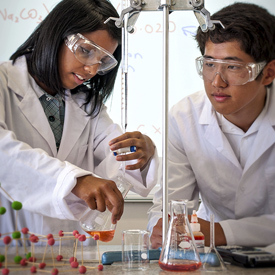 We provide specialist teaching staff and up-to-date curriculum within the Senior School. At the start of Senior School, a personalised “Career Life Map” helps identify learning strengths and possible career pathways. This careers programme helps motivate and prepare students for their life ahead. Our SACE results are consistently above average, and the majority of our graduates continue on to Tertiary studies. Senior School students at Cedar College have the opportunity to take part in an overseas Service Trip. This enables students to experience life in different cultures, while serving the community in practical ways.